Another day, another challenge for the Devery team. 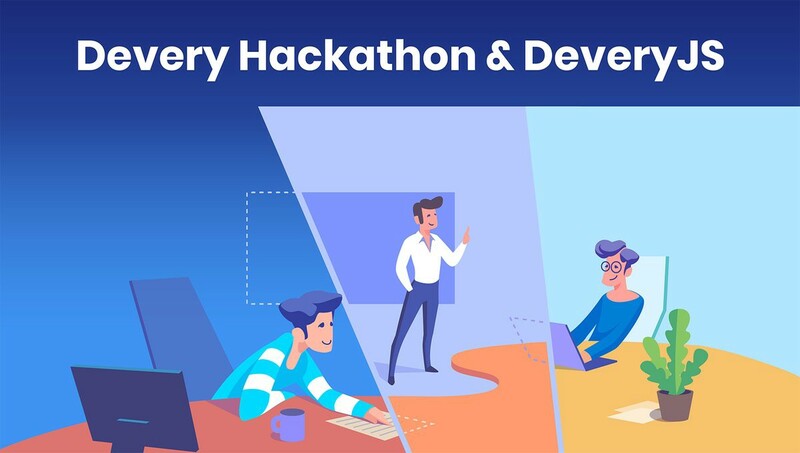 As Devery works towards driving development on top of protocol, we are organising another hackathon to encourage developers to utilise Devery’s framework for harnessing the power of blockchain. Last year was our inaugural hackathon — it was a success, and we were extremely pleased by the response we received. We are also making some changes to improve upon the hackathon based on feedback that we received. We hope this will encourage more regular participation, as well as drive further awareness of the framework and protocol from the wider development community. The hackathon will launch on Friday, April 26th and end on Saturday, May 11th. This should give all participants sufficient time to work on developing their ideas and coding up with a basic proof of concept. The key goal of the contest would be to demonstrate the use of the framework in innovative ways. The idea is encourage creative use of the framework but also to push the boundaries of what is deemed possible with blockchain technology as well as the Devery Protocol. The prizes for the contest will be US$2,000 in cash for the first prize, US$1,000 for second prize and US$500 for third prize. The prizes are set to encourage participants to build applications that are motivated to the use of the ecosystem. The judging this round will be conducted by internal team members. The reason behind this is to encourage more in depth review of the code and to further encourage more technical submissions that improve upon the ecosystem. If you are keen to participate, sign up or visit the Devery Hackathon page! Product verification powered by blockchain technology. Build on our protocol today.